Porter Khouw Consulting, Inc. (PKC) is North America’s premier foodservice management consulting and design firm. Our depth and breadth of experience in the foodservice market provide our team with the knowledge and resources necessary to supply our clients with innovative business solutions for world-class dining programs. We specialize in comprehensive master plans, market research studies, meal plan analyses, strategic planning, foodservice space design and marketing plans. We also offer RFP development services, contract negotiation and management recruitment. What makes Porter Khouw Consulting unique? 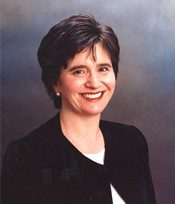 Senior principal involvement. Porter Khouw Consulting—formed in January 2008 as a partnership between H. David Porter, FCSI and Albin Khouw, former colleagues at Porter Consulting Worldwide, Inc.,­—is comprised of a talented team of foodservice consultants, designers and market research experts. 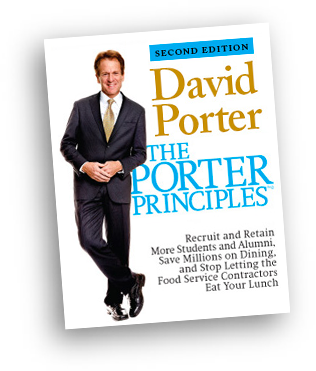 CEO David Porter has 35+ years of hands-on foodservice operation, market research, programming, design and consulting experience. 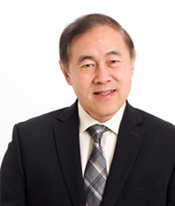 Principal and Senior Vice President Albin Khouw brings more than 28 years of foodservice operations and design experience to the team and serves as the head of our Design Division. In addition to David and Albin, PKC has eight team members divided into two major consulting areas: Management Advisory Services and Design Services plus support staff. We are committed to ensuring that a senior principal is directly involved in every project from start to finish. Exceptional track record. Our firm has assisted hundreds of clients across North America in both the higher education market and beyond with a variety of planning and design projects including meal plan studies, market research, master planning, operational audits and operator selection services, renovations of residential dining halls and programming/planning for new student centers. Our team of professionals is regularly on college campuses across North America every week where we talk face-to-face with students to find out what is important to them when they eat on and off campus. As a result, we bring a tremendous amount of experience and knowledge to all of our clients. Does independence matter? In addition to being the leading foodservice management consulting and design firm in North America, one of the hallmarks of our company and one that sets us apart from our competitors is that Porter Khouw Consulting is an independent, fee-based consulting firm. We receive absolutely no remuneration of any kind from any other source than our fee with our clients. Porter Khouw Consulting does not have any financial interest and/or business relationships with any food management company. We take this voluntary business position to ensure no perceived or real conflicts of interests. We are truly your independent advocate. 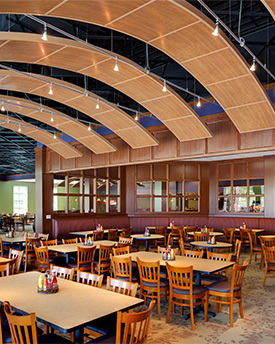 PKC pioneered the concept of Social Architecture and the role campus dining can and should play in creating meaningful and convenient locations for students and other campus community members to eat, study, collaborate, problem solve, network and hang out together. It is this philosophy that sets our firm apart and makes PKC the firm of choice for forward-thinking college and university administrators. Research has shown that students that live and dine on campus have higher GPAs and graduation rates than those who don’t. 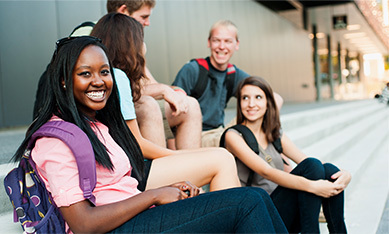 Campuses that successfully socially engage and connect students to one another within the first 45 days of their first year with strong Social Architecture enjoy higher student retention rates as well as higher participation rates in dining services/meal plans and higher customer satisfaction ratings. The team at PKC welcomes the opportunity to share our passion for the foodservice industry and innovative programming and design with you and your team! 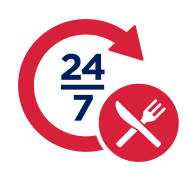 To see if your school is a good fit as a candidate for our 24/7 Dining Program, click here to submit a request. Porter Khouw Consulting, Inc. is the country’s leading foodservice management consulting and design firm. Our depth and breadth of experience in the college and university foodservice market provides our team with the knowledge and resources necessary to supply our clients with innovative and unique business solutions. Our firm is comprised of a talented team of foodservice consultants, designers, and market research experts. 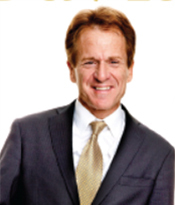 Principal and CEO David Porter, FCSI, is an active member of Foodservice Consultants Society International. David has 35 years of hands-on foodservice operation, market research, programming, design, and consulting experience. Principal and Senior Vice President Albin T. Khouw brings more than 28 years of foodservice operations and design experience to the team and serves as the head of our Design Studio. Porter Khouw Consulting is divided into two major consulting areas: Management Advisory Services and Design. As an independent consulting company, Porter Khouw Consulting does not work for or receive payment from foodservice contractors, equipment manufacturers, or purveyors of food. This ensures that all work is done with the best interest of our clients in mind. This unwavering independence and confidentiality has been an integral part in the company’s growth and has become the backbone of our mission: to work closely with each client to develop unique and innovative solutions that enhance overall foodservice operations while meeting financial and budgetary goals. PKC is proud to be an active member in NACUFS and NACAS as well as other related organizations such as NACUBO (The National Association of College and University Business Officers), SCUP (Society of College and University Planners) and ACUI (Association of College and Unions International). PKC President and CEO David Porter is a regular speaker at both regional and national conferences held by these organizations where he presents insightful and interactive interest sessions that focus on solutions association members can use to grow/enhance their campus dining programs and organizations.